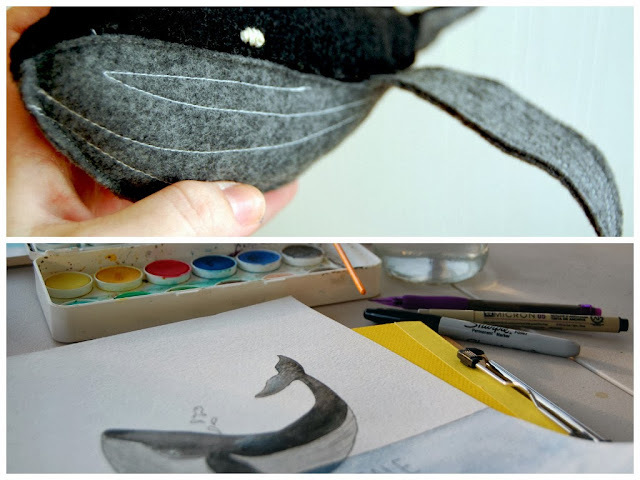 Doodle La: Weekend Creations-- The Whale. It started with a whale. He was swimming about minding his own business, when along came a fish who knew his mind. "Would you help me out? ", said the fish to the whale. "What would you have me do? ", questioned the whale. and the sun shines brightly lighting our way. Will you help? ", he asked again. "Well, I think I can!" 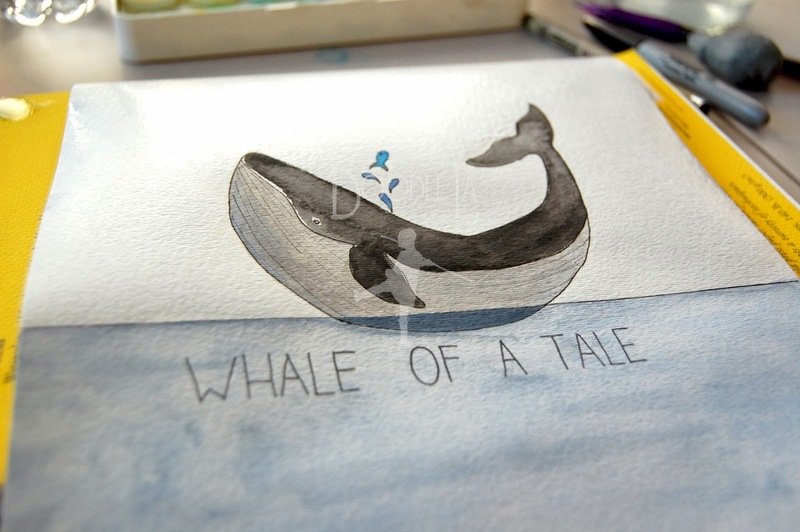 The great big whale opened his mouth wide, and in swam the fish. The whale headed straight for the surface with great big swishes of his tale. He came right up to the surface, and let out a great big BLOW with all his might. of the great whales blow hole. The whale turned on it's side to watch the fish fly through the air. The fish opened his eyes wide with wonder and took in as much as he could. It was more magnificent than he expected. And the whale relished in the pleasure he saw the fish experience from his flight through the air.